Accerion – Tobias Moll gives us the ins and outs of his internship at Accerion. 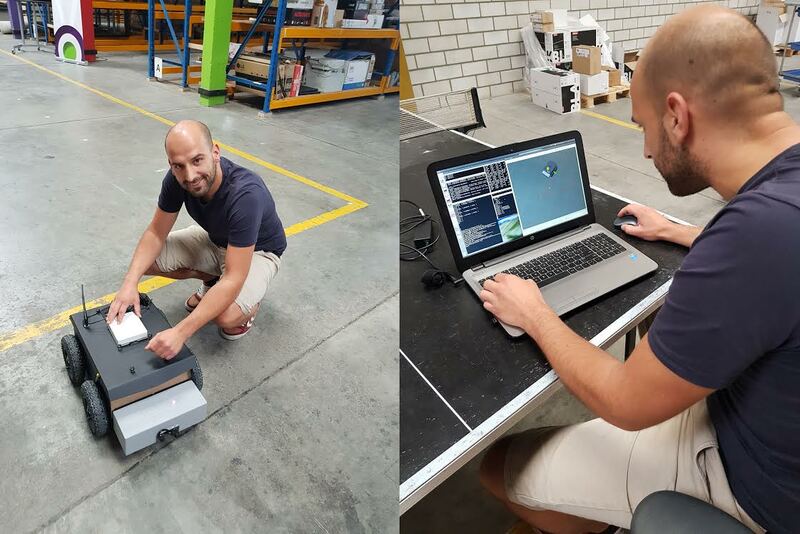 Today we’re zooming in at a few application possibilities of our technology with Tobias Moll, who’s studying applied computer science and has followed an internship with us. – Developing mobile application so the system can drive around autonomously and map the environment. ‘I found my internship to be really cool. I chose this specific one because I didn’t want to be bound to one topic. Choosing for a start-up means you can experience everything and you’re not limited to your assignment. You see everything from finance, to customers to the technology. You’re involved in everything. I learned a lot in this period. But being flexible is the most important one. By working here, I learned that a lot more is possible than you think. Even when it looks like a huge job, no matter how complicated it seems, you cán develop it. Just start. Do it in small pieces and write your tasks down. Also, interacting with customers thought me a lot about communication. It important to not only be good at your job but at other elements as well.